How Hard Is It to Quit PCP? Quitting any drug takes courage and patience. Recognizing the problem and taking the steps to quit phencyclidine, also known as PCP, can be difficult. But it’s definitely possible with the right treatment and support. Daily life: When you’re no longer under the influence of PCP, you can perform better at home, at work and at school. Your grades may improve and your absences may decrease, and you may experience increased interest in other activities. Relationships: Relationships with family and friends often suffer when someone is addicted to drugs. Sometimes those addicted to PCP isolate themselves. Quitting PCP and spending time with people who abstain from drugs can improve those relationships and your overall wellbeing. Overall health:PCP abuse can damage your health. Quitting can halt the effects of using and, in some instances, even reverse them, leading to a better lifestyle. Finances: Regular use of PCP can put a drain on your finances. Quitting will allow you to save money, which you can then spend on healthier endeavors. A variety of treatment options exist, and the one that’s right for you will depend on a variety of factors, such as the severity of your addiction. Talk to your healthcare provider about the benefits of each to determine which is the right fit for your needs. Most programs use counseling or talk therapy. Counseling helps you change attitudes and behaviors associated with drug use. The goal is to increase healthy behaviors and improve daily life skills. Inpatient therapy is an intensive treatment program often provided in a residential or hospital setting with 24-hour medical supervision. This type of program is recommended for those with severe addictions who need continuous care and support during their recovery process. Outpatient treatment includes a variety of options, such as individual and group counseling. It allows you to live at home during treatment. This form of treatment is recommended for those with less severe forms of addiction. 12-step programs bring together groups of people with similar addiction struggles in order to form meaningful social bonds and build community support networks. Your healthcare provider can discuss these options with you. Most treatment programs will include steps to help each person through the recovery process. The first step is the detox stage, which involves getting the drug out of the system. This allows the body to fully rid itself of the effect of the drug so that the person can fully integrate into treatment and get the most benefit from it. Behavioral counseling. Counseling can take place in an individual or in a group setting. 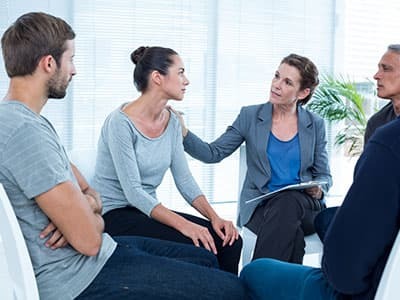 Common behavioral therapies used in addiction treatment include cognitive behavioral therapy, contingency management and motivational interviewing. 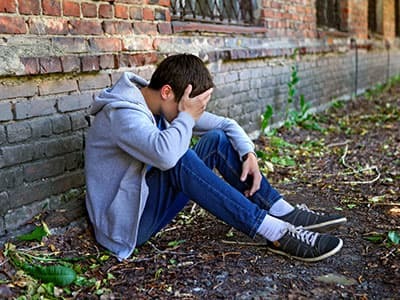 These therapies help the user to learn how to deal with triggers, modify maladaptive thought and behavioral patters, and find the motivation to engage in a recovery program. Medication assistance, monitoring, and compliance, if necessary. Some people have medical complications due to their PCP use as well as general health problems that require attention during treatment. Evaluation and treatment of co-existing disorders. Many people who abuse PCP have a co-occurring mental health or behavioral disorder, which is known as dual diagnosis. They also frequently abuse other drugs. Long-term follow up and aftercare. The staff at the treatment center will work with you on a plan for receiving follow-up care once you complete your initial treatment. Each of these steps will be tailored to your unique needs to ensure success and to prevent relapse. PCP is addictive, so it can cause withdrawal symptoms when you quit. Sometimes withdrawal symptoms can include extreme cravings that make it harder to avoid using again, which can lead to relapse. 6 The symptoms you experience will depend on the duration of your addiction, the amount of the drug used, your physiology and other factors. PCP withdrawal symptoms can be both physical and psychological. Feelings of fear, unease and worry. Feelings of depression and other mood disorders. Feeling excited, tense, confused, restless or irritable. Quitting any drug is very difficult to do alone, and you don’t have to do it by yourself. Treatment centers can provide the clinical supervision necessary to ensure a successful recovery. Surrounding yourself with friends and family can also provide emotional support that can be invaluable in your recovery process. Seek guidance from a healthcare professional when you are ready to quit. Work with the professional to identify the best treatment option for you. Each treatment option comes with its own benefits, and each is individualized to ensure the best treatment for every person. Be sure to attend all treatment sessions and listen to your healthcare provider. Find new activities and interests to replace drug abuse. The social environment, which could include unsupportive friends, family problems or housing issues. It is important to address the reasons why you started using in the first place. You should try to identify all of the issues that led to your addiction, as well as those triggers or things in your life that cause you distress and might lead to relapse. How to live without drugs, including coping with stress and taking care of responsibilities such as school and work. How to effectively work on the problems that abusing drugs has caused in your life, such as difficulties with relationships, jobs and finances. How to say no and to avoid people who still abuse drugs. Having the right people in your life – supportive, drug-free family and friends – can help make relearning these things much easier. Be supportive and non-judgmental. Being confrontational or threatening may cause the person to become defensive and refuse help. Do not threaten or isolate your loved one. Instead, be open and receptive. Encourage him or her to attend treatment and follow treatment protocols. Get involved in your loved one’s treatment. If he or she attends self-help groups, ask if you can join. If you suspect that a loved one is addicted to PCP, always call a health care provider. Quitting PCP cold turkey can be difficult and dangerous, especially without the supervision of a health care professional. It can cause severe withdrawal symptoms, intense cravings and can possibly lead to relapse. For those with severe addictions, detoxification may be necessary, and this should only be done under medical supervision. Quitting drugs and completing the recovery process takes patience. Quitting drugs and completing the recovery process takes time and patience. A person in recovery needs to become used to daily life without drugs, and many people relapse and may require treatment more than once. However, finding a quality treatment program and building a support system can greatly increase the chances of staying clean. The process of quitting will also be different for each person. This is largely due to factors associated with the duration of drug abuse, the amount used and the person’s physical and mental health. Finding a treatment program doesn’t have to be difficult. Call 1-888-319-2606 Who Answers? to get help locating a program in your area. The helpline is free to use and available 24 hours a day, 365 days a year. A trained representative will answer your call and walk you through the process of selecting a treatment option in your area.
. National Institute on Drug Abuse. (2016). DrugFacts: Treatment approaches for drug addiction.
. National Institute on Drug Abuse. (2016). What to do if you have a problem with drugs: For adults.
. U.S. National Library of Medicine. (2014). MedlinePlus, Substance use – phencyclidine (PCP).
. Perkinson, R. R. (2012). Chemical dependency counseling: A practical guide (4th ed.). Thousand Oaks, CA: Sage Publications.
. National Institute on Drug Abuse. (n.d.). Why is it so hard to quit drugs?
. National Institute on Drug Abuse. (2016). DrugFacts: Hallucinogens.
. National Drug Intelligence Center. (2003). PCP fast facts.
. Bey, T., & Patel, A. (2007). Phencyclidine Intoxication and Adverse Effects: A Clinical and Pharmacological Review of an Illicit Drug. The California Journal of Emergency Medicine, 8(1), 9-14.